The world's first 7" frame displays in 4:3 aspect ratio for no stretching, cropping or distortion. Digital screen displays up to 6400 images on 1GB of internal memory. Transfer images, audio and video from a memory card via 5-in-1 card reader or from PC with a USB cable (Not included). 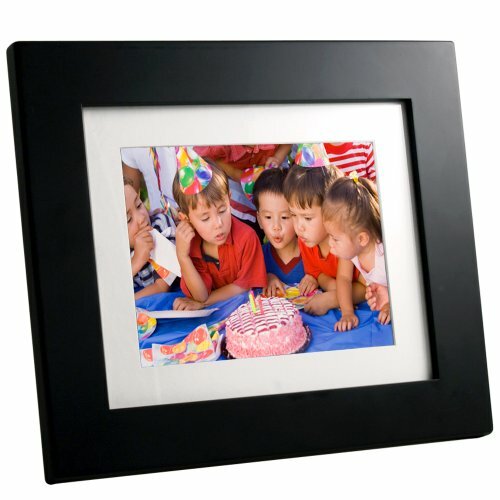 Customize the look of your frame with the interchangeable white and charcoal mats. WiFi/Bluetooth compatible.